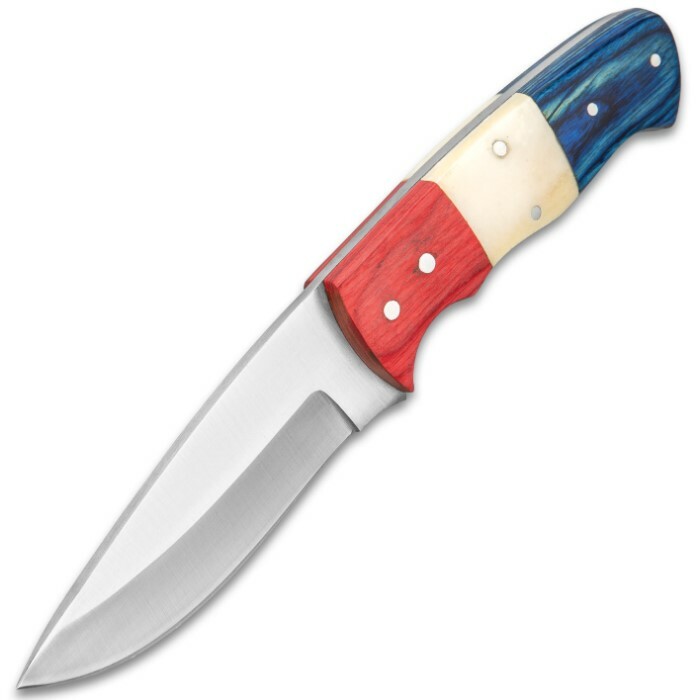 Timber Wolf Patriot Fixed Blade Knife With Sheath - Stainless Steel Blade, Wooden Handle, Stainless Pins - Length 8” | BUDK.com - Knives & Swords At The Lowest Prices! 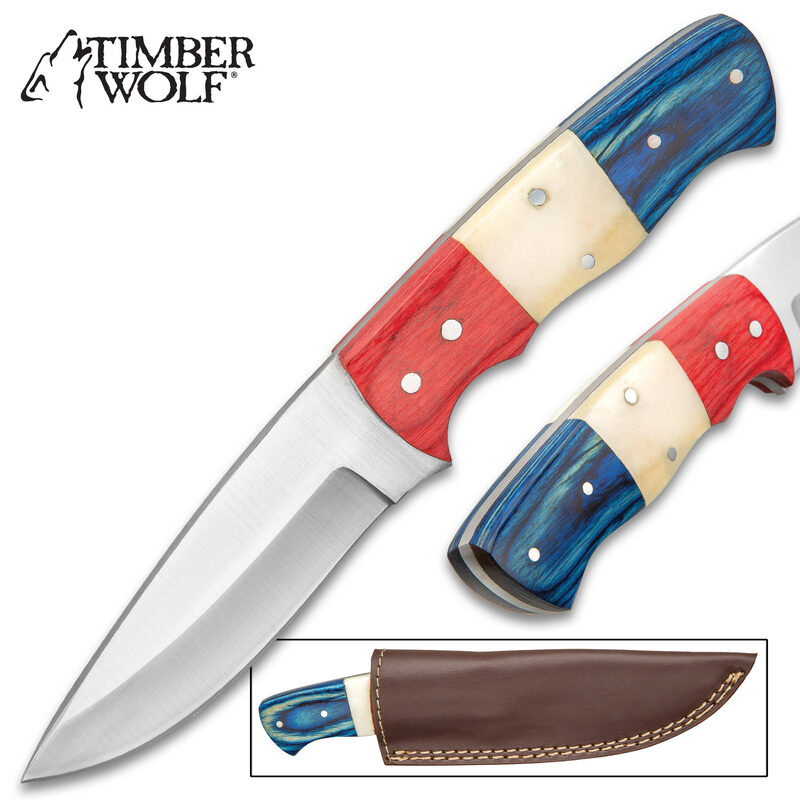 The Timber Wolf Patriot is a compact and All-American knife that is bound to become a classic in its own right! 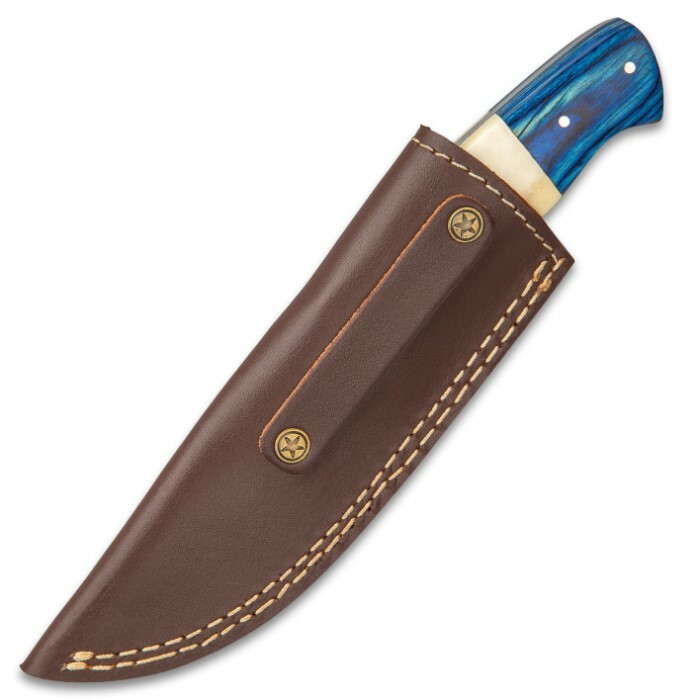 This heirloom quality fixed blade has a keenly sharp and thick 4 1/4” stainless steel, full-tang blade, which has a satin finish and a beveled edge. 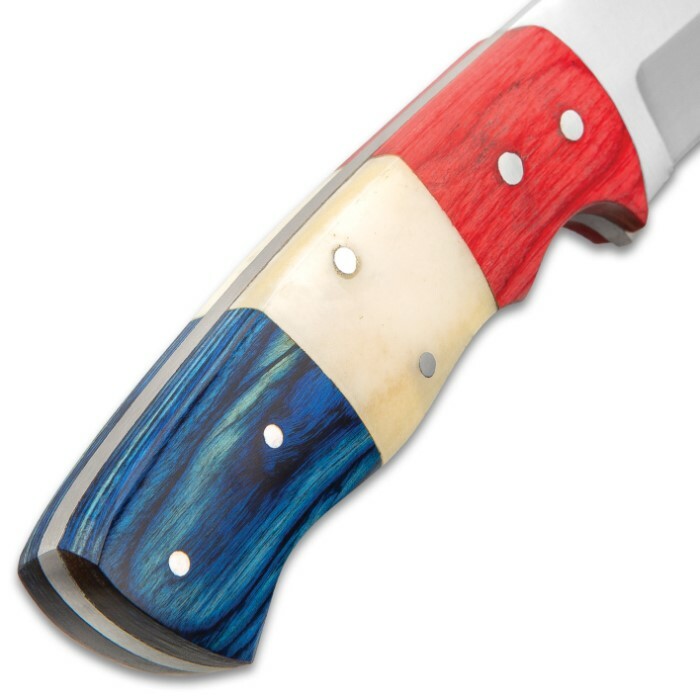 The banded red, white and blue wooden handle scales are secured to the full tang by sturdy stainless steel pins. The 8” overall fixed blade knife fits like a glove in its premium leather belt sheath, which has white top-stitching and embossed accents.